Posttraumatic osteomyelitis (PTO) is a feared complication after surgical fracture care. Late diagnosis can result in interrupted and prolonged rehabilitation programmes, inability to work, medical dependency, unnecessary hospital admissions, and high medical and non-medical costs. Primary aim of this study was to assess preferred diagnostic imaging strategies for diagnosing PTO amongst orthopaedic and trauma surgeons, radiologists, and nuclear medicine physicians. Secondary aims were to determine the preferred serum inflammatory marker for diagnosing PTO and the existence of a local hospital protocol to diagnose and manage PTO. This study utilised an online survey based on four clinical scenarios, varying from early to late onset of PTO. It was designed to assess individual practitioners’ current preferred diagnostic strategy for diagnosing PTO. Eligible study participants were medical specialists and registrars in orthopaedic and trauma surgery, musculoskeletal (MSK) radiology, and nuclear medicine. There were 346 responders: 155 trauma surgeons, 102 orthopaedic surgeons, 57 nuclear medicine physicians, and 33 MSK radiologists. Trauma surgeons favour FDG-PET to image PTO, while orthopaedic surgeons prefer WBC scintigraphy. A similar difference was seen between radiologists and nuclear medicine physicians (MRI versus nuclear medicine imaging). CRP was regarded as the most useful serum inflammatory marker. Only one-third of all responders was aware of a local hospital protocol for the treatment of osteomyelitis. The availability of and awareness towards local protocols to diagnose and treat PTO is poor. The results of this study support the need for future randomised controlled trials on optimal diagnostic strategies for PTO. The reported incidence of 1–19% of deep infections after surgical fracture care is much higher than in procedures such as elective orthopaedic joint replacement (reported infection rate 0.8–1.2%) [1, 2, 3, 4]. This is not surprising, not only because of the typically acute setting in which trauma surgery takes place but also because of numerous other contributing causes. The nature of a fracture (anatomic location, open versus closed, high-energy versus low-energy impact), level of wound contamination in open fractures, systemic inflammatory response due to soft-tissue injury, possible accompanying vascular injury, timing, and duration of surgery, and severity of concomitant injuries (which can require a hasty damage control procedure) are all factors that influence the risk of developing a deep fracture-related infection [1, 3, 5, 6, 7, 8, 9, 10, 11]. Diagnosing fracture-related osteomyelitis, also referred to as posttraumatic osteomyelitis (PTO), is challenging and requires in-depth knowledge of the problem as well as a high index of suspicion by the treating medical team [12, 13]. A surgical site infection (SSI) is usually easily recognisable by the four classical signs of infection: calor, dolor, rubor, and tumor. This is rarely the case for a long-standing PTO which can present with a closed wound and no apparent acute signs of infection. Symptoms such as pain and disability to use the affected limb can mimic other differential diagnoses like non-infected non-union, posttraumatic arthrosis or simply symptomatic hardware. Most recommendations for the best diagnostic workup of PTO are at best level-4 evidence, based on expert opinions and local consensus meetings [7, 14, 15, 16, 17]. Serum inflammatory markers, such as leukocyte count (LC), C-reactive protein (CRP) and erythrocyte sedimentation rate (ESR) are widely used, but their diagnostic value for PTO is poorly studied. The same can be concluded for medical imaging modalities. With recent developments in hybrid camera systems, such as Single Photon Emission Computed Tomography combined with Computed Tomography (SPECT-CT) and Positron Emission Tomography combined with CT (PET-CT), there are now more advanced methods to image PTO . These newer techniques achieve a higher diagnostic accuracy by combining pathophysiology with anatomy in a single imaging modality. Although they are already used on a large-scale worldwide, these modern imaging modalities are not yet prospectively studied in large PTO patient populations and, therefore, have not yet been implemented in evidence-based guidelines. Most clinicians acknowledge the fact that every imaging technique has its advantages and disadvantages, and rely on local customised preferences and logistic availability. X-rays and CT are useful to assess the position of metal implants, fracture stability, and bone healing. Osteomyelitis can sometimes be detected by periosteal reaction, cavities, and a fuzzy appearance of the cortex, but the sensitivity and specificity are low  and radiologically detectable changes appear much later than the onset of the infection. MRI is useful as it differentiates necrotic from viable tissues and assesses the extent of infection. It is sensitive for detecting osteomyelitis, but its diagnostic accuracy decreases after recent surgery, when metal implants are present and differentiation between sterile inflammation and still-existing infection is difficult [19, 20, 21]. The same applies to three-phase bone scintigraphy: although it is useful when negative, it has a very low specificity in the acute/subacute setting as any recent alteration to the bone will result in a positive outcome . White blood cell (WBC) scintigraphy has been extensively studied for peripheral osteomyelitis and is found to be reliable with high overall accuracy rates [23, 24]. All these studies, however, were conducted on heterogeneous patient groups, including joint prosthesis infection and diabetic feet, and none focused specifically on suspected PTO. The diagnostic value of PET/CT with 18F-fluorodeoxyglucose (FDG) for osteomyelitis is still under investigation. This technique has the best properties: easy labelling procedure, available in many centres, and short imaging time. Unfortunately, the problem with FDG is that it is aspecific: it accumulates in healing tissues, in inflammation, and in infection, which has led to a huge variation in reported sensitivity and specificity values for osteomyelitis. Furthermore, no interpretation criteria presently exist as to when to declare an FDG-PET positive or negative for infection. As a baseline for future research and for the development of a national protocol on posttraumatic osteomyelitis, we conducted this inventory study. Our primary aim was to assess current preferred imaging strategies for diagnosing PTO amongst orthopaedic and trauma surgeons, radiologists, and nuclear medicine physicians. Secondary aims were to determine the preferred serum inflammatory marker for diagnosing PTO and the existence of a local hospital protocol to diagnose and manage PTO. This study utilised an online 16-question survey (the diagnostic osteomyelitis survey) designed to assess individual professionals’ current preferred strategy for diagnosing PTO. Eligible study participants were Dutch consultants and registrars in orthopaedic and trauma surgery, musculoskeletal (MSK) radiology, and nuclear medicine. Requests for participation (followed by two reminders in case of no response) were sent via an email that described the outline of the study and its aim, with an invitation to complete a web-based survey. A total of 2343 invitations were sent to members of the four medical professional associations: the Dutch Society for Trauma Surgery (NVT; 581 invitations), the Dutch Orthopaedic Society (NOV; 1331 invitations), the Dutch Society of Nuclear Medicine (NVNG; 161 invitations), and the musculoskeletal (MSK) section of the Dutch Radiology Society (NVvR; 270 invitations). In The Netherlands, there are 133 hospitals, eight of which are University Medical Centres (UMC) and 28 large peripheral teaching hospitals (PTH) . In this study, the remaining 97 smaller hospitals were regarded as peripheral non-teaching hospitals (PNTH), as the gamut of medical specialist training possibilities at such hospitals is limited or absent. We developed the web-based diagnostic osteomyelitis survey using the secure Share Point Server 2013 of University Medical Center Groningen (UMCG) in The Netherlands; the survey was presented to the respondents using an https connection. All data were de-identified and stored securely on the UMCG server; access was restricted to the research team. The local UMCG medical ethical committee judged the methods employed in this study and waived further need for approval (reference number METc2014.554). The survey consisted of 16 questions and took approximately 10 min to complete. For some questions, more than one answer option could be selected. Demographic data of the responders were collected, including profession and hospital-specific data. To assess the current preferred imaging strategies of the responders as realistically as possible, four patient-based clinical cases were presented. Each case described a patient with a different stage of fracture-related osteomyelitis, representing a typical clinical scenario (Fig. 1). These patients gave written consent for the anonymous use of their medical imaging. Each case was introduced with the relevant medical history of the patient combined with a clinical picture of the affected limb. Patient A had an acute surgical site infection (SSI) 1 week after open reduction and internal fixation (ORIF) of a distal humerus fracture. Patients B, C, and D had a suspected (patient B) or obvious (patients C and D) late infection after surgical fracture care. The distinction between patients C and D was the presence of metal implants. X-rays of the fracture site were only provided if the participants selected the answer option that they would order one. Subsequently, the participants were asked to select which imaging modality they considered most suitable to diagnose or exclude the presence of posttraumatic osteomyelitis (more than one answer was allowed). The imaging options given were: ultrasound, ultrasound-guided biopsy, CT scan with or without intravenous contrast, CT-scan-guided biopsy, MRI scan with or without intravenous contrast, three-phase bone scan with or without SPECT/CT, white blood cell scintigraphy with or without SPECT/CT, and FDG-PET with or without CT. There was also the possibility to provide a personal, non-listed answer. Participants were also asked which serum inflammatory marker they thought was specific enough to be used for diagnosing PTO (CRP, LC, or ESR) and whether they were aware of a local hospital protocol for diagnosis and management of PTO. Data were analysed using IBM SPSS Statistics for Windows (version 22.0, Armonk, NY: IBM Corp.). The overall response rate was 15% (n = 346); 27% of the trauma surgeons (n = 155), 8% of the orthopaedic surgeons (n = 102), 35% of the nuclear medicine physicians (n = 57) and 12% of the MSK radiologists (n = 33) responded. Table 1 presents the responders’ characteristics. The results for the preferred medical imaging modalities for patients A–D are listed in Table 2. There was consensus on the usefulness of a conventional X-Ray in patients with a late infection (patients B, C, and D). In patient A with an early SSI, a repeat X-Ray was requested only 203 times (54.4%); in patients B, C, and D, a conventional X-Ray was requested, respectively, 363 (97.3%), 357 (95.7%), and 351 (94.1%) times. In those patients with late PTO (patient B, C, and D), there was a remarkable difference between trauma surgeons and orthopaedic surgeons in terms of choice of nuclear medicine imaging. Trauma surgeons favoured FDG-PET, while orthopaedic surgeons preferred the WBC scintigraphy. A similar, consistent difference was seen between radiologists and nuclear medicine physicians regarding the choice for radiology imaging versus nuclear medicine imaging. For example, in patient D, an MRI was favoured by 82% of the MSK radiologists versus 2% of the nuclear medicine physicians. For an FDG-PET/CT for the same patient, these percentages were 3 versus 36%, respectively. CT scans and three-phase bone scans for late fracture-related infections were popular among orthopaedic surgeons and to lesser extent MSK radiologists, though not by trauma surgeons or nuclear medicine physicians. Ultrasound-guided biopsy was regarded by all physicians to have some role in patients with an early infection (patient A), but was not popular for patients with late infections. The choice for an imaging modality was also influenced by the availability of this technique in the responder’s own hospital. For example, of all those responders who could perform an FDG-PET/CT in their own institution, 21.2% elected it as their preferred imaging method of choice, whereas it was chosen by only 7.2% of responders who did not have an FDG-PET/CT in their own hospital available (Table 3). None of the serum inflammatory markers was regarded as very specific for diagnosing PTO, but CRP was thought to be the most useful laboratory test and the most popular amongst orthopaedic surgeons (Table 4). One-third of all responders (36%, n = 124) reported being aware of a hospital protocol for the treatment of osteomyelitis; the other responders were either unaware of a protocol (25%, n = 86) or reported an absence of one (39%, n = 136) (Table 5). The availability of a PTO protocol was the highest in the University Medical Centres (Table 6). This study confirms the variety in diagnostic strategies that many clinicians dealing with PTO will recognise from their day-to-day practice. Although the overall response rate of our survey was only 15%, the responders are a typical reflection of those working with this patient group (Table 1). One should also keep in mind that it is only a small percentage of all trauma and orthopaedic surgeons who are involved in osteomyelitis care and that we addressed the whole group. 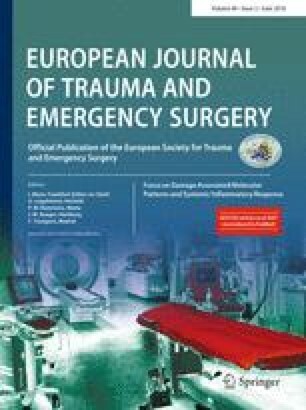 Because it is likely that the responders will have an interest in—and, therefore, deeper knowledge of—PTO compared to non-responders, this study is prone to even underestimate the real variety in diagnostic imaging strategies as the first diagnostic manoeuvres might be initiated by the primary surgeon. We, therefore, regard the contribution from 346 medical practitioners as a substantial response and the outcome of this survey as a relevant finding to report to our peers. The variation in diagnostic workup of patients with suspected PTO is in concordance with the lacking guidelines on this subject and also with the apparent struggle of various authors to formulate clear and practical recommendations. Termaat et al. published a meta-analysis on optimal imaging modalities for chronic osteomyelitis . They concluded that FDG-PET was the most accurate imaging option to diagnose chronic osteomyelitis, with a sensitivity and specificity of 96 and 91%, respectively. However, the paper was published in 2005 and includes studies published between 1975 and 2003. Considering that current medical technology is developing at an almost exponential rate, it is safe to assume that the diagnostic capacities of the different imaging modalities described are no longer truly represented by the papers analysed for that study (e.g., the commercial system to combine PET with CT (PET/CT) first reached the market in 2001 ). The data in that paper should, therefore, be interpreted cautiously. Also based on the best available evidence, but still a result from a consensus meeting, is the report of the European Association of Nuclear Medicine (EANM) published in 2014. In this paper, Jutte et al. proposed a diagnostic flowchart for peripheral bone osteomyelitis, including sternal infections . This flowchart is probably the best available tool for clinicians at the moment, but it is a very broad algorithm with an emphasis on nuclear imaging. In the present study, recommendations of this EANM consensus document were not followed by the majority of responders in any of the scenarios presented. Part of the variance in diagnostic imaging strategies for PTO can be explained from the imaging techniques locally available to the requesting (or advising) medical practitioner (Table 3). Responders tended to favour an imaging modality when this was available in their hospital. Although this is an understandable pragmatic choice, it may not be the most cost-effective strategy. Having an evidence-based guideline for diagnosing (and excluding) PTO will support a radiology and/or nuclear medicine department in negotiating the purchase of future appropriate medical imaging equipment. Yet another possible explanation for the variance between the subgroups is that, in The Netherlands, the majority of fractures are treated by trauma surgeons who are trained as general surgeons, as opposed to orthopaedic surgeons (66 versus 34%, respectively, as reported in a recent study on hip fractures ). Orthopaedic surgeons are more familiar with the (more researched) concept of prosthetic joint infections (PJI), and some of their choices for diagnosing PTO might be extrapolated from these papers. Dutch trauma surgeons, however, focus solely on fractures and are not influenced by previous knowledge on diagnosing PJI, therefore, they might have a different approach to diagnosing fracture-related infections. The same can be said for radiologists versus nuclear medicine physicians—both are highly trained in medical imaging options for various infectious conditions—but they are likely biased by background knowledge of their own area of expertise. This bias does explain the difference in preferred imaging modalities (e.g., MRI versus FDG-PET/CT) in patients with late-onset PTO. In addition, surgical clinicians and advising imaging specialists often have a different starting point when additional imaging has to be chosen. The clinical situation plays a crucial role in the decision-making process, and nuclear imaging specialists and radiologists have the disadvantage of not being able to examine patients themselves. In this study, the provided clinical patient scenarios were the same for all participating medical specialists, but the difference in background knowledge might have lead to a different imaging strategy. More in general, failure from the surgeon to communicate the essential clinical details and specific diagnostic question with the advising imaging specialist can result in a less logical imaging advice. Another important factor that needs to be emphasised is that the process of treating fracture-related infections is time-consuming and costly. The best available data for this are derived from studies in patients with a prosthetic joint infection (PJI) and diabetic feet. In infected total hip arthroplasties (THAs), for example, the hospital length of stay has been shown to be 2.2 times longer, with associated overall costs 3.1 times higher compared to non-infected primary THA procedures [28, 29]. Non-medical costs resulting from the inability to work and help required from carers are not known. Any delay in diagnosis will obviously also delay the start of treatment and subsequently the recovery of a patient with PTO, hence overall costs will increase. It is known from other orthopaedic studies that, as a general rule, both patients and cost effectiveness benefit from clinical pathways and guidelines [30, 31]. There is thus a need for a lean and strict algorithm on diagnosing PTO. This will help clinicians choose the most effective diagnostic pathway to reduce the time needed to properly diagnose PTO and subsequently reduce medical costs by avoiding unnecessary imaging requests. Our results lead us to believe that in some cases, a leaner diagnostic pathway could have been followed. For example, for the two patients with a late clinical wound breakdown, therefore, a clear infective component (patients C and D), 44% (patient C, n = 152) and 43% (patient D, n = 149) of all participants would request further imaging, which is mainly indicated to diagnose or exclude an infection (a bone scan, WBC scintigraphy or FDG-PET). Especially for patient D (an obvious infection, no hardware in situ, and all operations performed three decades ago), one could argue that it is more logical to request an imaging modality that will aid in determining the surgical strategy and not only confirm the diagnosis of osteomyelitis. An MRI scan to visualise the extent of the osteomyelitis, and the presence or absence of cloacae, sinuses, subcortical abscesses, and intramedullary sequesters would in this case be a more logical option and is much cheaper and easier to perform than, for example, a WBC scintigraphy or FDG-PET. It is in this perspective interesting to note that an MRI for patient D was selected by only 26% (n = 90) of the responders. The present study was designed to assess current practice on diagnostic imaging strategies for posttraumatic osteomyelitis in The Netherlands. The results will be used as a baseline for the development of a multicentre prospective trial to eventually provide and implement evidence-based national and international guidelines on diagnosing PTO. These guidelines will hopefully decrease the time to diagnosis in a cost-effective way. This study might be limited due to bias resulting from under-coverage and non-response. Because it is likely that the responders will have an interest in—and, therefore, deeper knowledge of—PTO compared to non-responders, this study is prone to underestime the real variety in diagnostic imaging strategies. A second limitation might be the fact that this study was undertaken in only one European country. However, since no international guidelines on this topic exist, it is likely that the lacking consensus on how to diagnose PTO is an international omission and that our results can be extrapolated to other trauma orthopaedic societies. 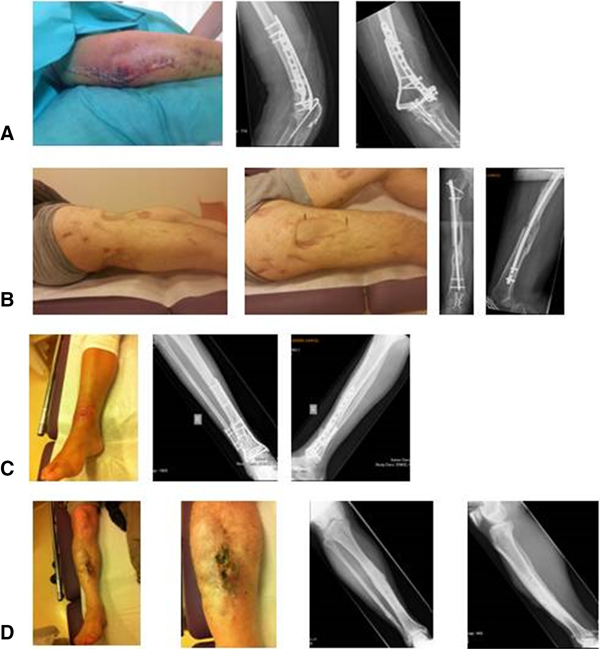 There is no agreement amongst Dutch trauma and orthopaedic surgeons, radiologists, and nuclear physicians regarding the optimal diagnostic strategies to diagnose or exclude posttraumatic osteomyelitis. None of the serum inflammatory markers was regarded as very specific for diagnosing PTO, but CRP was thought to be the most useful laboratory test. The availability and awareness towards local protocols to diagnose and treat PTO are poor. The results of this study support the need for future randomised controlled trials on optimal diagnostic strategies for PTO. There is also a necessity for the development of national and international guidelines on this topic, in which cost effective strategies are based on the best available evidence. All authors were involved in the study and contributed substantially to the manuscript. Each of the authors are in agreement with the contents of the manuscript. Geertje Govaert, Andor Glaudemans, Joris Ploegmakers, Alain Viddeleer, Klaus Wendt and Inge Reininga declare that they have no conflict of interest in connection with this article. Given the nature of this study, a waiver for ethical assessment was granted by the hospital medical ethical committee of the University Medical Center Groningen (METc2014.554). Written informed consent was obtained from all patients for the use of their clinical and medical imaging.